Polpetto have had a menu change and when my friend Helen and I went to try it out, we were particularly taken by the mysterious 'baccala mantecato'. 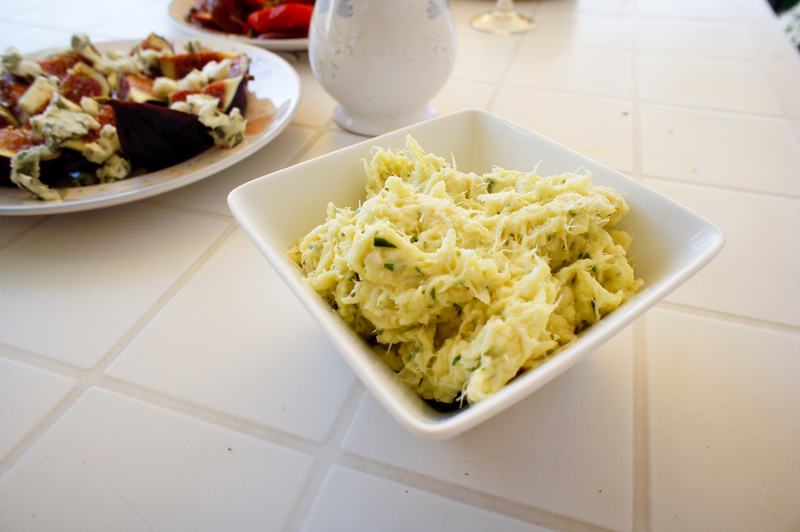 Upon further query it turned out to be salt cod, whipped up into a spread and gobsmackingly good. So smooth and creamy it was that I could have sworn it had some potato in, but part-owner Russell Norman told us no, it just requires emulsifying the cod with oil to make a smooth paste; labour-intensive but ultimately worth it.. Though an Italian dish, a holiday in Spain was looming and we'd found salt cod there before, so we began our plan of recreating it. Our recreation went well - ready-soaked salt cod was simmered briefly and then the hard work came in. To a pestle and mortar we added garlic and parsley and then we pounded the life out of the cod, drizzling oil in slowly and finishing with milk to loosen its texture and give it some body. Though our version was a little more rustic (and green), it had a great texture and was gorgeous smeared on some bread. 250gr salt cod, rehydrated. I think this involves a lot of soaking and changing of water over several days - we bought ours already soaked. 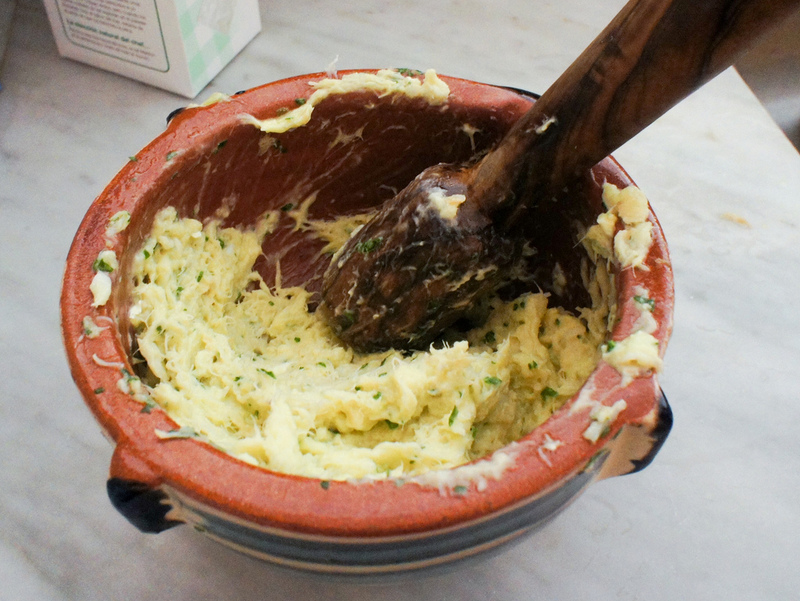 In a mortar and pestle, pound the garlic and parsley into a paste. Add the cod and mix vigorously. Roll back your sleeves and get pounding and smooshing as someone else dribbles the oil in, until you get a thick, smooth paste. It needs quite a bit of oil. Loosen with the milk - add on tbsp at a time until it is incorporated - if you feel it's necessary. Serve with toasted bread. Thanks Sven, or even Brandada de bacalao. Looks mighty tasty! 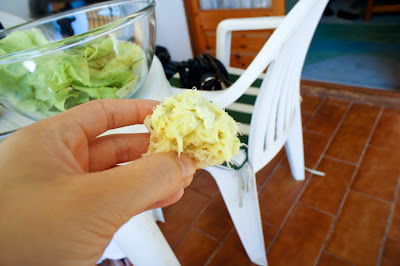 Salt cod can be rehydrated overnight by soaking in water - change the water a few times if you can. Oooh yes. Love salt cod. Love brandade de morue too so I do believe I'll love this.